Clearwater Architects has been providing a range of architectural services for residential, commercial and municipal clients in the south-coast area for over 30 years. During that time, we’ve designed and overseen construction for numerous new homes, renovations and additions. The scale of our residential projects has varied from simple additions to large homes. The common thread that runs through our residential work is not a particular “style,” but rather a strong sense of satisfying the design goals of those who will live in each home. Our firm’s strength relies in part on our ability to listen carefully to our clients, and our realistic construction perspective. We love to get into the details of both specifying materials and construction solutions. Our clear understanding of how to build in New England allows us to be respectful of a construction budget. Because there is always a controlled budget it is critical that you have precise and descriptive construction documents for the bid and construction phases. We also bring our experience in low energy, sustainable durable design and construction practices to each project. Expert Architects in Washington County - Best of Houzz! Oyster Works, a certified Women's Business Enterprise (DBE/WBE), is an architecture and project management firm based in Charlestown, RI. 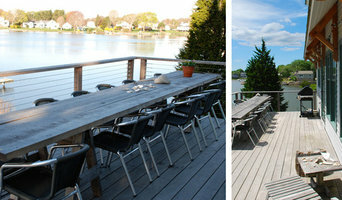 We design and build sensibly green projects throughout Rhode Island, the Northeast, and in New York City. As architects we design thoughtful commercial and residential buildings and interiors. As project managers we are responsible for every aspect of the project, from permitting to general contracting. Our sensibly green approach incorporates energy efficient building systems that make sense for your project and your budget. Ian McDonald Architect PLLC is a full-service architectural design firm focused on contextual residential projects customized to the needs of each client. It is the goal of the office to develop traditional New England style Architecture that meets today’s use and functional needs through a commitment to design excellence and attention to detail. The firm strongly believes that the working relationship between architect and client is what ultimately determines the success of any project. The office’s current projects are located in Suffolk, Nassau, and Westchester counties. 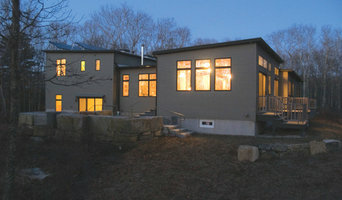 Imaginative & Individualized Rhode Island Architecture Best Of Houzz! Marjorie Goldberg AIA, Architect is a small full-service firm where each project receives total attention from the architect regardless of size or scope of the project. Residential projects as well as small commercial and institutional projects such as police projects, libraries and school projects are some of the types of work the firm has experience with. New construction and renovation work incorporating landscape design is a key focus. Listening carefully and interpreting what a client is aiming for is how we begin and continue throughout the duration of each project. Truth Box Architects specializes in site-specific, affordable, green building. We're architects with a passion for modern design, energy efficient construction, and working closely with clients to realize their aspirations. 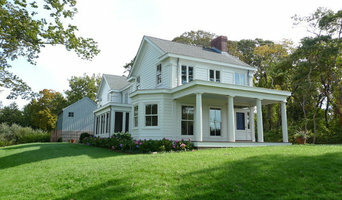 With over ten years of experience we're the leading architects of sustainable homes and renovations in Rhode Island. Full service architectural firm. We impart a timeless aesthetic to residential and commercial buildings for clients throughout New England - working with you to create designs that honor place, space, and user. Architect Bill Sclight is one of the Hampton’s premier architects. Through his firm, W.A. Sclight Architect, P.C., located in Water Mill on the East End of Long Island, Bill is known for designing projects for many discerning individuals in New York City, the Hamptons and internationally. The firm, founded in 2002, is staffed with highly experienced architects, including chief Project Architect Gary Sanders. W.A. Sclight Architect, P.C. possesses a well-earned reputation for exact attention to detail, informed by a keen awareness of light, scale, texture and proportion. The firm’s portfolio includes residential and commercial/ retail projects with influences drawn from Contemporary, as well as, Transitional and Traditional architecture. We're architects who help you craft your home to fit your lifestyle, and guide you through a proven process to avoid the many pitfalls along the way! Union Studio's portfolio of work is firmly grounded in the language of traditional architecture and in the spirit and patterns of a particular place. As students of classical proportion and detail we use both to create memorable places imbued with solidity and permanence in locations throughout the U.S. Residential design company serving homeowners, builders & developers. Eric grew up on the east end of Long Island. Beachfront homes have always been an inspiration to him, appreciating all the variety of styles along the south shore. He graduated from the New York Institute of Technology with a Bachelor of Architecture in 2006 at Old Westbury, New York. Since then he has worked at notable east end design and architectural firms. His interest in the ecology of the east end and methods to improve sustainability in building are featured on many of his projects. On becoming licensed he opened Peterson Architectural Works which focuses on designing homes that reflect his love for the east end. We are a full service architectural practice with residential, commercial, academic and research laboratory experience throughout New England and other regions. For our residential work, we specialize in designing small to medium sized sustainable new homes & renovations and work closely with our clients to fulfill their design goals on a budget. We also have experience with larger and estate-sized homes. Our practice was established in December of 2000. Principals and licensed architects Jennifer Tate, AIA, and Walker Burns, AIA, have worked in the architectural profession for more than 30 years. Jennifer Tate has a background in the fine arts, as a printmaker, and Walker Burns is an avid reader and book, music and vintage electronics collector. They bring to the art and science of architecture a finely developed aesthetic sense, knowledge of architectural history and vernacular styles, and a rigorous dedication to excellence. Please visit our website.